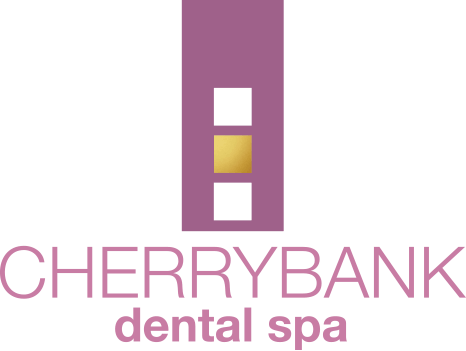 At Cherrybank Dental Spa – we offer world class dentistry in a relaxed spa environment and we go further than other dental practices to ensure you look and feel your best. We ensure our dentists have time to fully analyse your current situation and make recommendations based on your health status and needs. The best thing about this process is that you can see all the solutions, ask questions, and be fully informed about your treatment before you commit to our care. 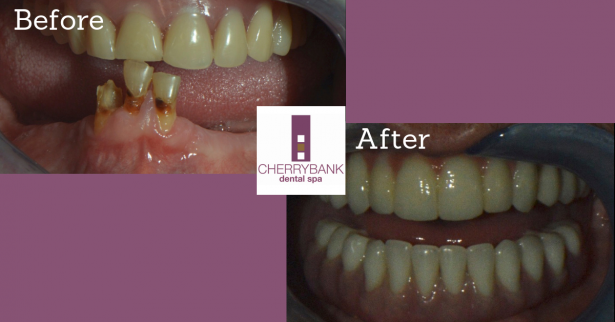 We recently supported a patient through an All On 4 dental transformation – with outstanding results! “We met this characterful patient in April of 2018 and safe to say he became a firm favourite amongst us all. His laugh and personality were infectious and it was our job to give him a smile that matched that big personality! We discussed multiple options, including full dentures and implant-retained dentures, but he opted for ‘Fixed Teeth In A Day’ also known as ‘All On 4’. This gave him the chance to have a fixed option at all times without the need for temporary, removable dentures while the implants integrated and tissues healed. Overall, Mr MacFarlane is delighted that he went ahead with the treatment. At Cherrybank, we are always happy to hear positive feedback from our patients, especially when the treatment has been a transformational experience. It is our goal is to care for your dental health, as well as improve your entire sense of well-being. To book a dental treatment consultation at Cherrybank Dental Spa, or to find out more about how we can help you, call us today at our Perth office, 01738 481 519.